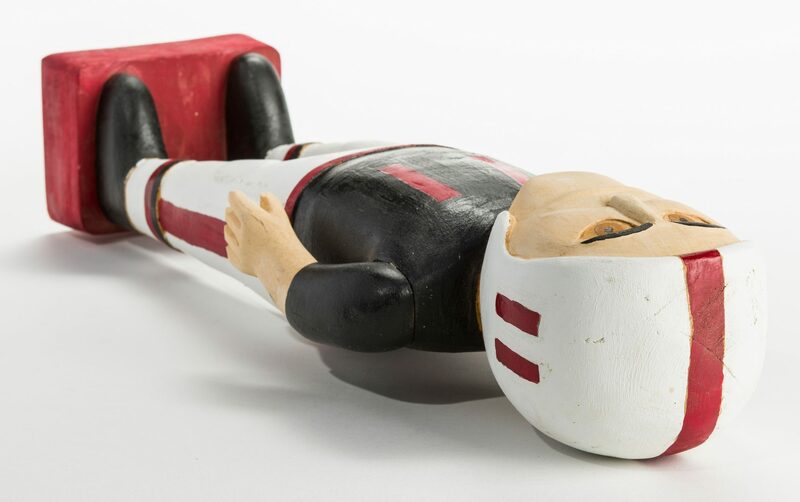 Winford Estill "Wimp" Gibson (Tennessee/Kentucky, 1944-1994) painted wood folk art carving of a football player with movable arms in a black, red, and white uniform, the number 11 on his jersey and helmet. Signed and dated WIMP GIBSON Feb. 1993, underside of base. 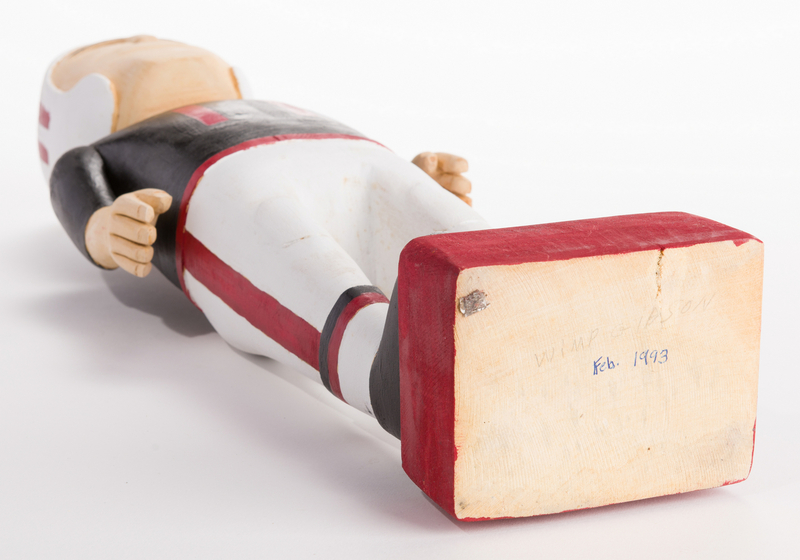 21 3/4" H x 7" W x 4 1/2" D. American, late 20th century. CONDITION: Overall good condition. Scattered minute scuffs, surface of carving. Minute yellow stains, inner thighs of carving. Paint flakes, largest 7/8", surface of carving.